Two schools. Five miles. A world apart. Bissiri Diakite (left) and Coco Rhum (right) are high school seniors. The physical distance between their schools is five miles, a short trip up the west side of Manhattan. But if you measure the distance in resources and opportunities, they wouldn't fit on the same map. Take a look at the graphics below for a glimpse of the disparities. Thurgood Marshall and Beacon are representative of New York City’s dual school system, split along lines of race and class. 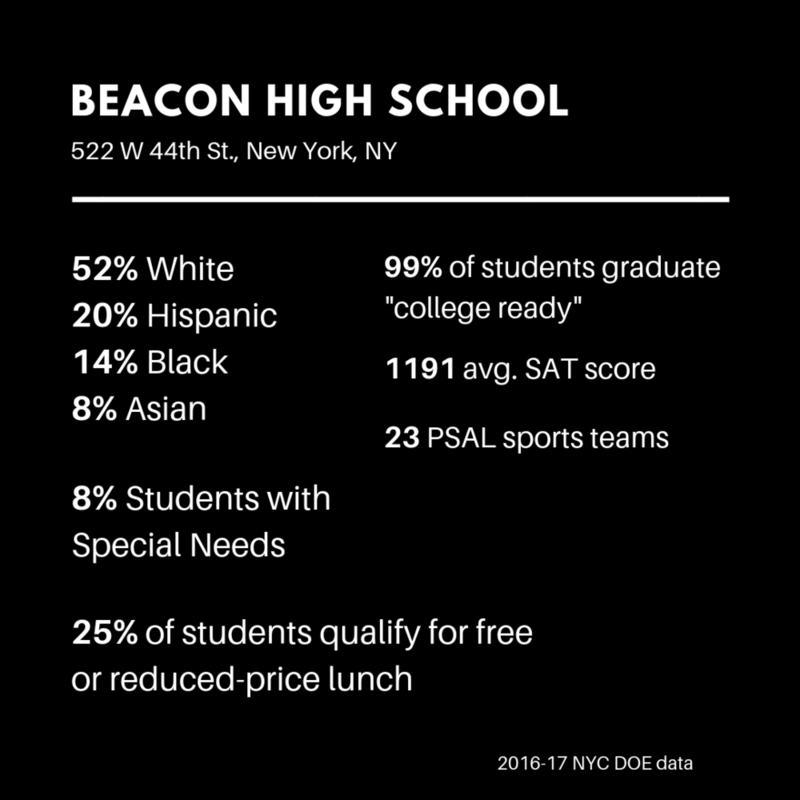 A seemingly endless supply of resources flow into schools like Beacon, while schools like Thurgood Marshall struggle to offer students after-school sports and clubs. But inequitable resources aren’t the only by-product of school segregation. By definition, segregated schools fail to expose students to cultural and intellectual diversity, breeding unhealthy and dangerous school environments. To be sure, these issues are not unique to Beacon. Similarly, Thurgood Marshall is not the only school with significant resource gaps. Listening to Coco and Bissiri helps us understand what’s lost when a city chooses to educate its students separately — but also what’s possible if we realize that three stops is not so far, after all. If you want to join the conversation, send us a message or follow us on Twitter, Facebook and Instagram.